I enjoy riding my road bike. I’ve got an excellent Trek Domane 5.2 carbon fiber road bike. You can find me a few days a week, spinning along the roads in Silicon Valley and up the Peninsula. I even wear spandex cycling gear, which I suppose technically makes me a MAMIL. But I’m not a cyclist. At least, I’m not a cyclist according to some purists. And that’s okay by me. Why am I not a cyclist? I don’t shave my legs. The vast majority of my rides are solo rides. I rarely crash. In fact, I’ve had road burns on my legs exactly once due to a crash, which occured because some clown left a giant stone block in the middle of the bike lane, just below a small rise. So the danger of infection remains slight, and in those rare cases of road burn, Tegaderm is my friend. So the primary need for a cyclist to shave their legs doesn’t apply. Besides, I’m just too lazy. I’ve never raced. I will never race. I’ve been riding regularly for over a decade now, and also rode for many years prior to parenthood. (Parenthood played hob with my workout schedule, but that’s on me, not my daughters). I’ve never ridden in a race, and only participated in three organized cycling events. But I never had the desire to race on a bike; one look at a large scale crash should tell you why. At best, I would have been a middle-of-the-pack rider. Besides, whatever competitive juices I had went into long distance running. I use an old school saddle on my carbon fiber bike. That’s right, I still use a Brooks B17. Sure, the B17 I use includes titanium rails, but it still weighs a good 540g (over a pound), so it’s no lightweight plastic saddle. 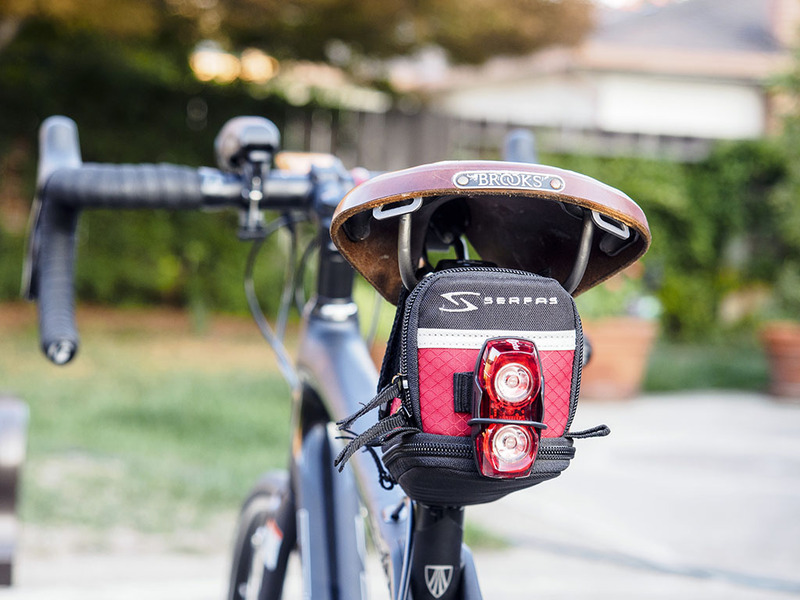 But I’ve ridden my B17 for over 4,000 miles now, and the saddle still offers incredible comfort. I use mountain bike pedals. I believe in the usefulness of clipless pedals, but gave up on road pedals and road shoes. I do like being able to walk around a bit without feeling like I’m walking on stilts. 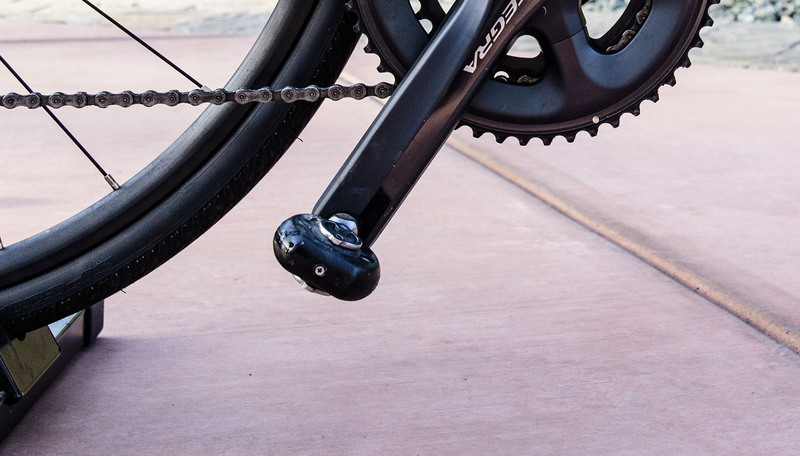 Most importantly, the Speedplay Frog pedals I use offer 100% float, which helps out my aging knees. I ride in Shimano MO88 wide shoes, which offer substantial fit adjustment. I ride a carbon fiber frame for the ride quality. I have a fairly fragile back, an ongoing left shoulder rotator cuff issue, and aging knees. The Domane 5.2 gives me a more forgiving ride than a steel, titanium, or aluminum frame bike. It’s not about weight, or speed, though those are nice bonuses. I ride with a Garmin bike computer, but don’t care about speed. I have my Garmin 810 to show me cadence, distance, heart rate, time-of-day, and total ascent. That’s it. The secondary screen does show average speed, but I rarely look at it. I care about distance, cadence, and heart rate much more that speed. I stop at red lights. I’ve seen so many cyclists — both experienced and novices — run red lights, apparently in the belief that they’re unique little flowers. I have been forced to ride through a red light, but only when the light doesn’t trigger and I’m the only person waiting. This is usually an issue with protected left turn lanes, where punching the walk signal isn’t an option. But mostly, I wait at red lights; it’s safer that way, and I’m usually in no hurry. On the other hand, I would like to see the Idaho Stop legalized everywhere. The Idaho Stop lets cyclists treat stop signs as yield signs and red lights as stop signs. Even better, I’d really like to see separate lights for cyclists. Look, I just like to ride, mostly solo. When the endorphins and serotonin start to flow, and I get into that rythm, riding becomes the perfect solo activity, which probably appeals to my inner introvert. If I don’t fit into any perceived cultural cycling niche, so be it. Got my own Domane 5.2 recently as an upgrade to a steel frame entry level Fuji (thanks to you I decided to test ride a Domane). Couldn’t be happier with the purchase; I now ride 4-6 days a week!